The 170 pound division in the UFC is one of the most stacked divisions in the promotion. The welterweight division is a shark tank, churning out top contenders. From GSP to Robbie Lawler, there have been dominant champions, but one could also argue that the division was never as stacked as it is today. 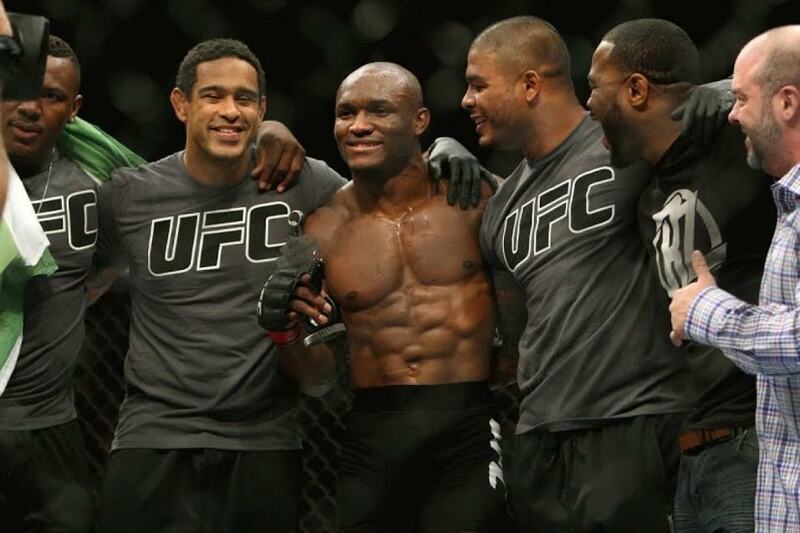 One of the top prospects in the division is the ‘Nigerian Nightmare’, Kamaru Usman. Training out of the famed Blackzilians gym, Usman was constantly sparring and rubbing shoulders with who’s who of the sport. 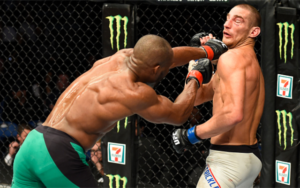 While Kamaru previously lobbied for a showdown with arguably the best grappler in the sport today – Damien Maia, he faced Sean Strickland at UFC 210. Usman easily defeated the American, and talked about the fight during an exclusive interview. Kamaru dominated the fight from bell to bell, and scored a comfortable unanimous decision victory. Kamaru relied on his bread and butter – his wrestling skills, and didn’t give Sean any opening to get back into the fight. Asked when anything Sean did surprised him, Kamaru once again emphasised on the fact that he considers himself to be one of the best fighters in the division. After the fight, the Nigerian didn’t waste any time, immediately calling out Neil Magny. 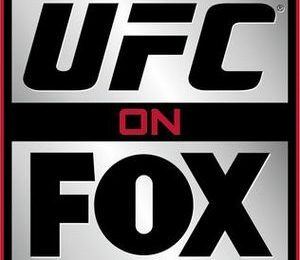 Magny is riding high on an impressive showing against former welterweight champion, Johny Hendricks. Magny also holds victories over the likes of Hector Lombard and Kelvin Gastelum, and when asked about how he is preparing in case Magny accepts the fight, Usman said he couldn’t let the cat out of the bag. During a recent interview, Usman also delved into the possibility of Dana White protecting him, similar to Paige VanZant or Sage Northcutt. Usman had previously said Dana wouldn’t throw him into the deep end this early, but rubbished the comparisons with PVZ and ‘Super Sage’. Neil Magny, during his fight with Hector Lombard showed good take down defence, and his ability to keep his distance, avoiding Lombard’s power shots. Usman talked about the stylistic match up between himself and Magny, and said it would be a tough test for him. 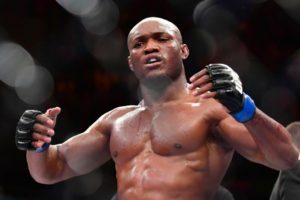 Usman had earlier called out ‘Stun Gun’, who is currently scheduled to face Colby Covington during UFC Singapore. When asked about his intent in making a statement with the call out, Usman said he wants to fight against the best in the division. While Usman wanted to fight Maia, the Brazilian is scheduled to fight Masvidal in a title eliminator. When asked about the possibility of fighting Masvidal soon, Usman was pragmatic, and said that was at least 3 or 4 fights away. Kamaru doesn’t want to sit on the sidelines; in fact, he said he wanted to get back into the cage at UFC 211 in Dallas. Now however, he is eyeing the International Fight Week for his return. UFC 210 was bittersweet for the Blackzilians team. One of Kamaru’s teammates, Anthony Johnson retired at UFC 210, after losing to Daniel Cormier. However, Usman told us that the mood in the camp hasn’t changed. Finally, Kamaru had a message for the Indian fans, and said he would be fighting for them inside the Octagon. Who were the champions in each UFC weight-class when they signed the Fox deal 7 years ago?